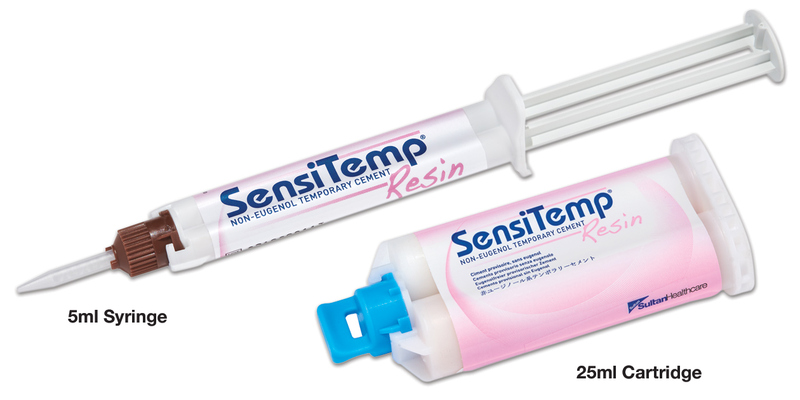 High strength non-eugenol desensitizing temporary cement with a unique 2-stage setting reaction for easy clean-up. Designed for long-term provisional cementation of restorations. Contains potassium nitrate to help reduce post-operative sensitivity. 1' 30" work time, 4' 00" - 5' 00" final set time. Contains: 1 x 5ml syringe, 10 mixing tips. Mixing tips have blue hub, clear barrel and white mixer.